It is estimated that 55 million men suffer from androgenic alopecia, commonly known as male pattern baldness. 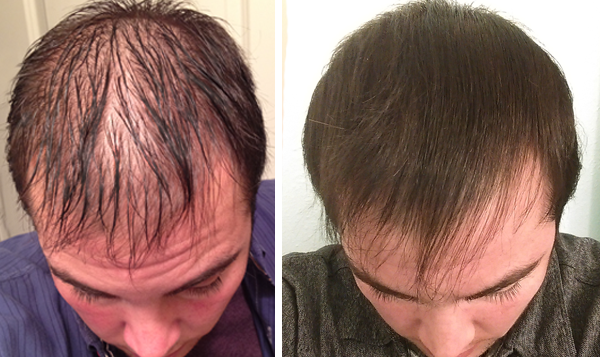 Until now, there have been few attractive options for men to battle hair loss. Prescription hair loss drugs have been around for years, but they are not without an excess of shortcomings. Surgery has also been an alternative, but it’s expensive and considered elective surgery, so your insurance company will not pay for it. A clinically proven alternative is all-natural Procerin, the subject of the 90 day research study. This solution has been gaining popularity with men over the past couple of years for good reason. It is easy to use, contains all-natural ingredients, no side effects and is backed by a clinical research study. In an IRB Approved Research Study to determine the effect of Procerin on hair loss, the group of male study participants were instructed to use the Procerin hair loss system for 90 days. The men were monitored by a licensed dermatologist and examined on a weekly basis, with a final report after 90 days of Procerin usage. The clinical trials submitted to the FDA provide strong evidence as to Procerin’s success and safety. There were no reported serious adverse events during the Procerin study nor are they expected in the post-study follow-up.